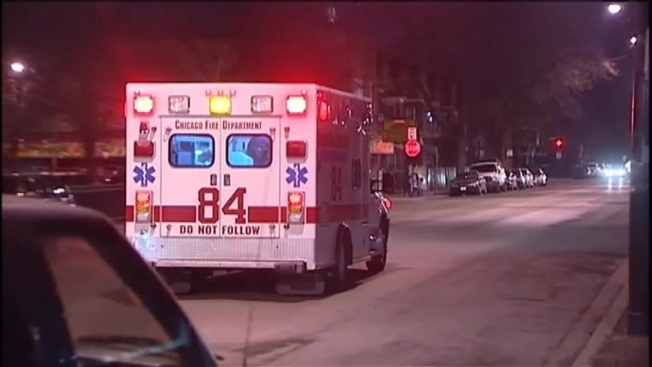 Several children were hospitalized Tuesday after they were accidentally served what parents believe was alcohol at a restaurant in Chicago's Little Village neighborhood. Police, though, said tests showed none of the children had any trace of alcohol in their systems. The children, ages 10 and younger, were at the Home Run Inn pizza restaurant on the 4200 block of West 31st Street for a birthday party. Neyante Eggleston, a mother of a 6-year-old boy who attended the party with her son, said the children at about 9:40 p.m. were eating pizza and drinking what was supposed to be fruit punch. "The drinks tasted funny to begin with," said Eggleston. "But we didn't pay any attention. We just thought it was us, but they just came and just swooped all the cups up. So we were like, 'OK, what's going on?'" Police said the group told the waitress they were one cup short of fruit punch so she went back to the bar and saw a drink that looked like the fruit punch and brought it to the table. She returned to reclaim the cup when she realized there was alcohol in the cup. A girl at the table took a sip but immediately spit it out, police said. When officers arrived to assist Chicago fire officials, the girl said she drank from the cup. The rest of the children then suddenly said they too drank from the cup. Some of the children were taken from the restaurant and transported to a hospital. Eggleston said the waitress was very apologetic and the incident was clearly a mistake but expressed disappointment that no one from the restaurant ever admitted there was alcohol in the cup or apologized for the mix-up. Police said the restaurant's permits are up to date and it will not be cited. NBC Chicago's attempt to reach a restaurant spokesperson was not immediately successful.